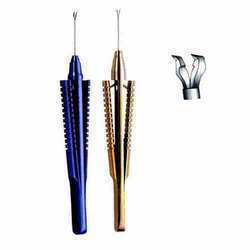 Owing to our sophisticated manufacturing facility, we have been able to offer Micro Surgical Instrument & Ophthalmic Instruments. 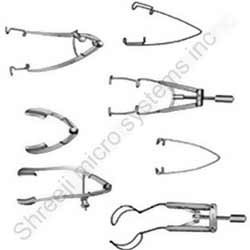 These products are developed by the experts at our advanced manufacturing unit using high quality raw material in compliance with the industry standards. 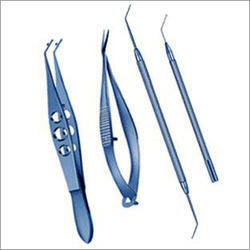 Made of stainless steel, these instruments are widely appreciated by the customers. 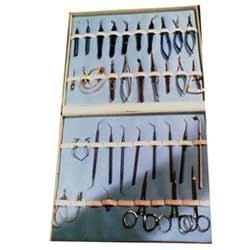 Moreover, we made use of imported craft alloys to fabricate the offered knives into high precision. 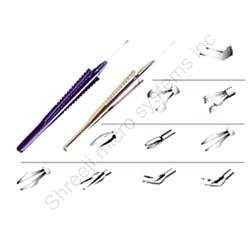 Lacrimal intubation and dcr set widely used in ophthalmic surgeries. 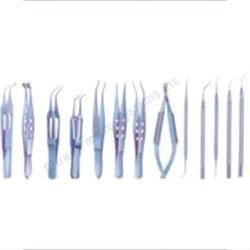 We are involved in the fabrication and supply of high grade ophthalmic surgical instruments for the whole industry. Our products are quality tested along the international parameters of quality control. Additionally, we have made use of imported craft alloys to fabricate our knives into high precision. Besides, our line-up is inclusive of industrial outputs for animal husbandry.